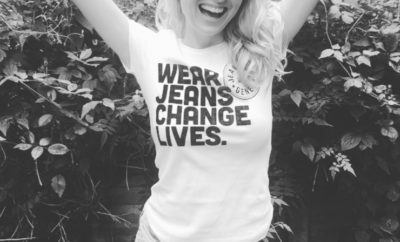 Jeans Jeans Jeans, there is nothing worse than a bad pair of jeans, and I have know this for years but for some reason I left my trusty J brands behind and went all Topshop on my arse for a few months. Safe to say It ended In tears :-), I decided I had a fat bum and big thighs, and I haven’t changed size so there was only one solution – Shopping. In the process of trying to find low rise ‘J brands’ I stumbled across a new brand ‘Frame’ which totally took me by surprise. I never find jeans I like and I am so fussy, I figured ‘J brands’ would be the only way to go. With ‘Jbrands’ in one hand and ‘Frame’ in the other I went to try them on. No question I am always a ‘Jbrand’ fan but if you are looking for something different ‘Frame is a brand worth considering. To my surprise I walk out with two pairs that day. Frame is Founded by a group of friends from London and California, and their manifesto is: FRAME blends L.A.’s denim heritage with the capital’s edgy attitude. Created for the woman who wears jeans to “frame her look and complement her figure”, the collection stands out for its innovative washes and cutting-edge fabrics.